Deriving its name from the large rock formations that frame the course layout, Black Mountain Golf Club features a classic 18-hole Championship course and a brand new 9-hole par-3 course. 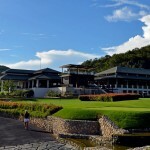 Opened in 2007, Black Mountain Golf Club has established itself as Hua Hin’s premier golf course and was host for the Asian PGA tour (2009 and 2010) and Royal Trophy (2011). Designed to keep its natural features such as creeks, rock formation combined with mature and new trees along the greens and different elevations, the course offers a great playing atmosphere. 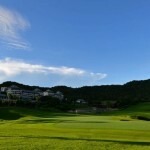 Black Mountain Golf Club’s course offers different playing routes depending on one’s skill and risk level. Each hole is designed in a way that an expert golfer can ‘short-cut’ the safer route while those who do not dare this can play it safe. For example, the 7th hole, a par-4, offers a long shot opportunity over 230 yards with an easy wedge to the green while the other option is to circumvent the water with two shots. The 11th signature hole is an over water par-3 to an island green and requires a great skill set. To achieve a dry landing. The recently finished 9-hole course offers fun and challenge at the same time. It features extensive water hazards and bunkers while all holes are relatively short. Black Mountain Golf Club features a majestic clubhouse with an excellent restaurant that serves a great selection of Western food, including some Swedish signature dishes and Thai specialties. A large pro shop offers a wide range of golf gear and equipment and locker rooms. There is also a Spa, convenience store and laundry service while practice facilities include a covered driving range and chipping and putting greens. Recently, Black Mountain opened a Wakeboarding Park and a Water Park to offer enjoyment for the entire family, even if golf is not on every family member’s agenda. In the first development phase, Black Mountain condominiums and villas were built, offering a host of facilities for residents to enjoy. These include common pools, fitness, sauna and steam rooms. All condos and villas have been sold out while resales are rare. 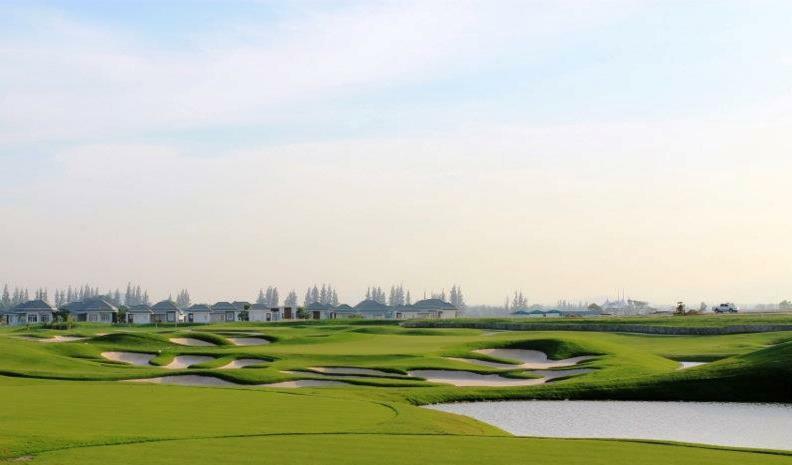 The latest phase are the Summer Villas, a selection of two- to –three-bedroom homes located near the 9-hole course. These cozy villas encompass a man-made lake and feature private plunge pools at an excellent price point.